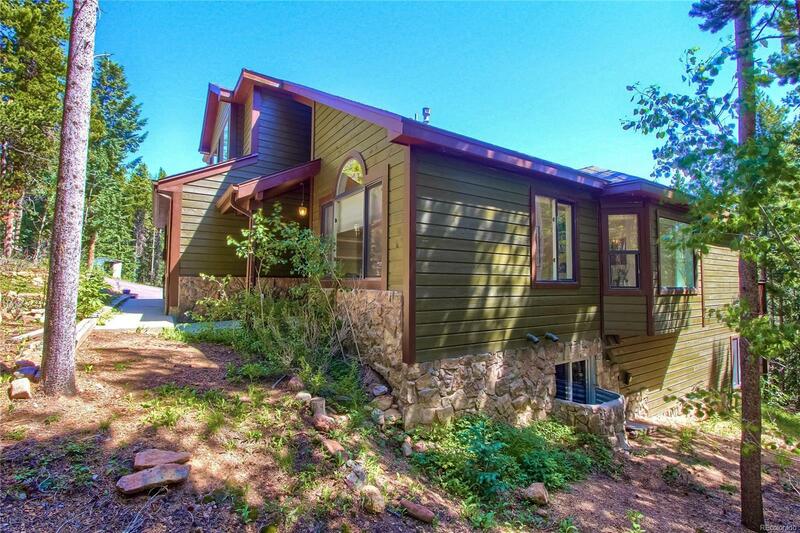 Serene, peaceful and private 2 Acre home site on Conifer Mountain w/ abundance of wildlife only an 8-10 minute drive from Hwy 285. Well maintained 2 story with spacious and open floor plan including hardwood floors, high ceilings, formal office and dining, updated kitchen, master suite and large open walkout basement. Plenty of space to add a 4 bedroom and full bath in basement including rough in. Exterior decks and all interior recently painted. New carpet in basement. 2 decks. Roof only 6 years old and attic re-insulated in 2018. Small stream passes through property. New garage door.